In bowl mix together your avocado, cilantro, lime, cayenne, red pepper flakes and salt and pepper and stir until mashed. Spread half mixture on each of your pieces of toast. 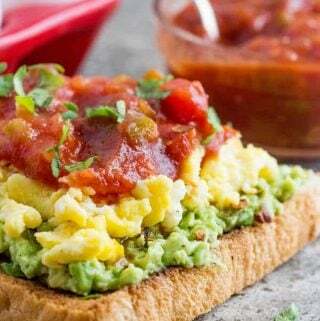 Top with your scrambled eggs and desired amount of salsa.